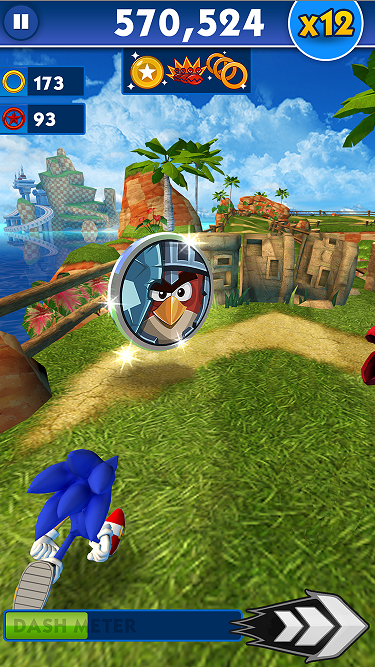 It’s hard to believe that the mobile title Sonic Dash is almost five years old. With over 100 million downloads and two sequels under its belt, the endless runner certainly shows no signs of stopping. To celebrate its anniversary, the official SEGA HARDlight Twitter account made a brief teaser video as to what they’d be doing to celebrate the occasion. Dialing up a certain spherical gaming icon, Bandai Namco tweeted a follow-up where none other than Pac-Man picked up the phone. Though they had previously tangled in the world of Super Smash Bros., the two titans have teamed up for a crossover that conveniently fits in your pocket. Updating the app on your device of choice, players can now unlock Pac-Man for a limited time. 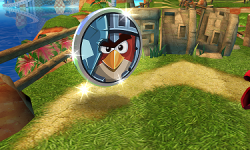 Your vintage badniks have been replaced with the classic ghosts, and using the dash move even turns them blue! Sadly, we don’t get to see Pac-Man’s smiling face tackle Dr. Eggman, the evil genius being replaced with a giant ghost named Bash. Wearing a crown, the only guess is that maybe he’s a supercharged Inky? Though he doesn’t seem very bashful anymore if that’s the case. 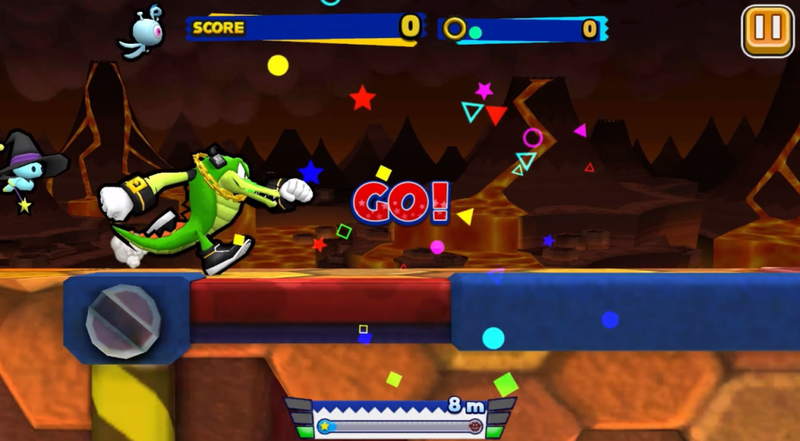 Instead of being content with just one mascot hopping into another’s game, the two companies have gone that extra mile and done their own video game exchange program. 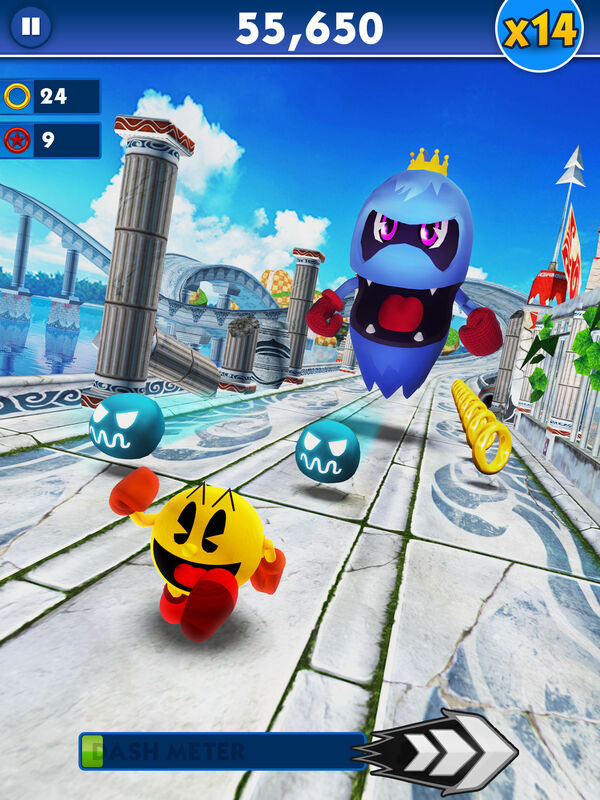 Not only is Pac-Man running about Seaside Hill chompin’ on ghosts, Sonic the Hedgehog has jumped into the mobile version of Pac-Man. Running about a maze version of Green Hill Zone, the classic Motobug rolls about trying to stop Sonic from getting those rings and his animal friends. In Pac-fashion, the red badnik rolls about with pink, blue, and yellow variants, and turn that dark shade of blue if Sonic grabs an invincibility item box. Heck, one of the mazes even has the word “run” in it, so you know what’s up. As with Sonic Dash, the Sonic maze in Pac-Man is only available for a limited time, so be sure to download both as soon as possible. Though with this new development, there’s one thing to consider…since both these games have had cross-promotions with Hello Kitty, how long until we get the ultimate crossover with all three having wacky adventures and solving mysteries? You know you want it to happen. It’s been a while since we’ve had a honest to goodness leak of a Sonic game. But we have a new one thanks to Gameloft’s customer care site. 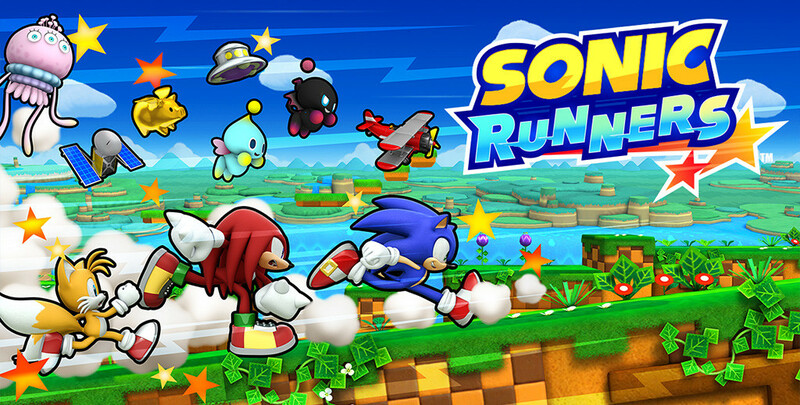 The site has a support page dedicated to Sonic Runners Adventure, a yet to be announced follow-up to the 2015 game Sonic Runners. Originally, I was just going to throw up a clip of The Critics’ Jay Sherman just saying his trademark line of “It stinks!” but that would be simply broadside-ing with an elephant gun what at its core is a good game wrapped up in layers of garbage, like one of those Babushka figurines. 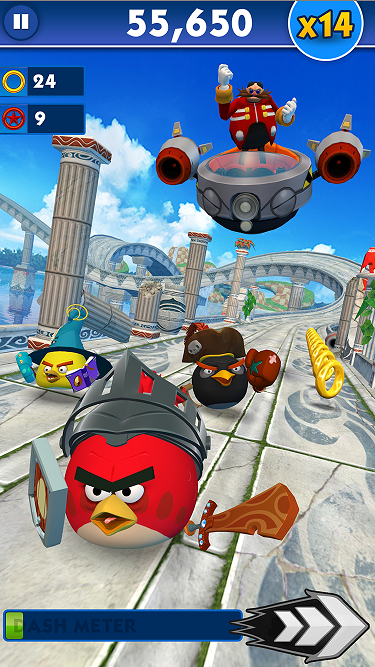 So, let’s talk Sonic Runners. 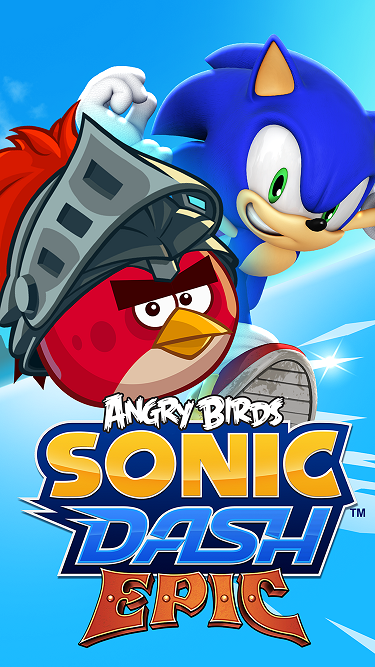 Even though Sonic Dash is still very much a thing and is celebrating 100 million downloads by shoe-horning in a brand it has no business even associating with in Angry Birds, Sonic Team decided it wanted to take a stab at this crazy bizarre world known as mobile freemium development. Enter Runners. Simple enough premise: Sonic and friends run to the right and collect gems and rings through an obstacle gauntlet of spikes, enemies, dash rings, pits, loops–you name it. At the end of each segment, Sonic encounters Eggman hauling a stash of goodies and is tasked with smacking that old greedy capitalist of all his money for your own purposes. Then the level speeds up and repeats with a more difficult layout. Rinse and repeat two more times to max speed until you eventually die. Throughout this, you’re treated to very simple stories of Team Sonic helping out Animal friends, lost Chao, and even scared groups of Wisps in their battle to stop Dr. Eggman from whatever anti-environmental/furry critter plot he’s hatching for that chapter. It may sound like I’m complaining or ready to just eviscerate the game, but this isn’t the case. 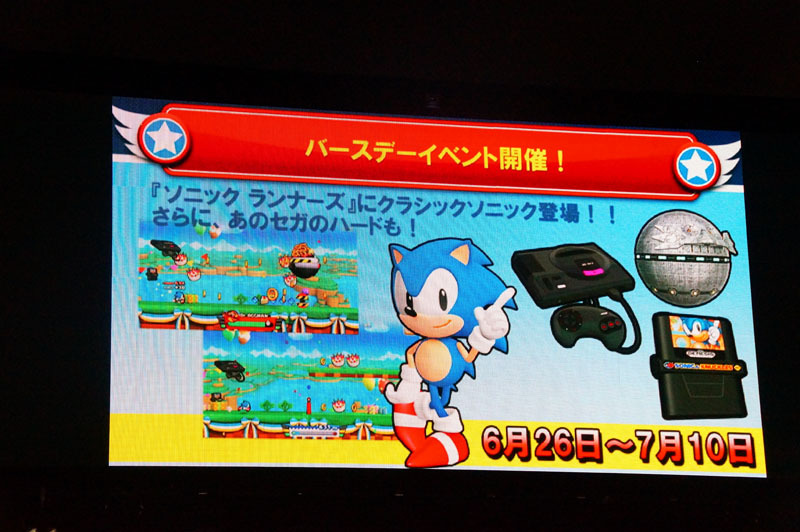 SEGA announced at the Sonic birthday event that’s taking place at Tokyo Joypolis that Sonic Runners will launch worldwide on June 25th. Despite only launching in Japan and Canada, the game has had a decent success up to now with more than 500,000 people having played it already. As of right now there’s little information about the worldwide release, but it’s safe to assume that it will launch on both iOS and Android. It was also confirmed that the recently announced Sonic Boom: Fire & Ice will be released in Japan under the Sonic Toon name, with a live demo of the game being shown at the event. Update: Turns out that the day after the game launches worldwide, that the classic, more pudgy Sonic will be an unlockable character. You’ll be able to unlock him between June 26th to July 10th. So SEGA put out a update for Sonic Runners which you have to download if you want to be able to play the game, which is okay as long as you can download it. Except it’s not officially released yet outside of Japan and Canada, so Android users outside of those countries can’t update the game the normal way. Thankfully, Neowl from our forums has uploaded the .apk file, so just install it on your Android device and you should be able to play the game again. And your save data won’t be lost by downloading it. Alternatively, you can also download the update through the Japanese QooApp store. You should also be able to download any future updates through that as well. iOS users should be able to normally update the game through the App Store. As for what the update actually does, we don’t know the official patch notes but our forum members have noticed framerate improvements and that the game no longer closes when their phone goes into sleep mode. So you no longer have to worry about your phone going on stand by because of how long the loading screens are. 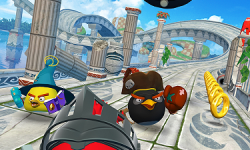 Sonic Retro forum member woun has been uncovering a plethora of data contained in the recently soft launched Sonic Runners. The new assets reveal upcoming characters and events that will take place in future episodes of the game. While several characters were shown off in the game’s latest trailer, new surprises include Metal Sonic and Big the Cat! Sorry, had to include an exclamation point, because c’mon… it’s Big the Cat! Also revealed are upcoming events featuring characters and locations from Sonic and the Secret Rings, Shadow and Omega with creepy glowing purple eyes, and what appears to be Metal Espio and Metal Eggman. You can see woun’s findings as they come over at the Sonic Retro forums.